Proper design development, regardless of the scale or nature of the site, begins with client involvement and a well-planned design. Before plant material is even considered, an analysis of existing conditions is conducted, including analysis of soils, moisture, drainage, light availability, present plant material, and architectural style of the residence. The functionality and aesthetic qualities a client is seeking are also noted as the design becomes more fluid, enveloping all aspects of the site and its intended uses. Finally, the incorporation of plant material with the arrangement of all of these amenities provides maximum efficiency and aesthetics of the space. A representative from our design team will be happy to meet with you to discuss your landscape needs and goals. We can provide a variety of landscape services tailored to the specific circumstances of your property. Please contact us to set up an appointment for an initial consultation at no cost or obligation to you. 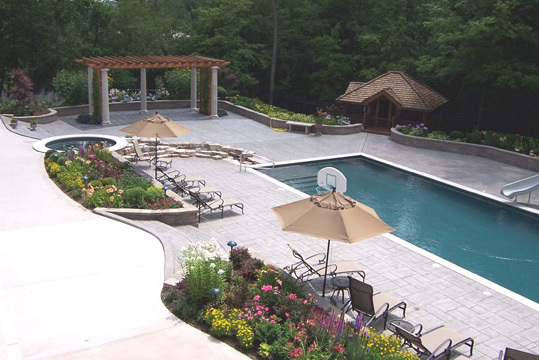 Landscape Architecture, as a licensed profession, goes beyond the realm of simple plant design. It can be as grand as a master planned community of several thousand acres, a large public park, or a college campus, and it also can be as small as a quiet backyard retreat or a gathering space for a memorial remembrance. By blending land planning, site engineering, building architecture and plant material into a functional and pleasing environment, good design is achieved. Special needs and requirements are often directed by the governing municipal agency or the client. As a member of the development team, working with the client, the project consultants and the municipal agency, our firm can take a project from conception, through City/Village review, to final drawings. All drawings are prepared in AutoCAD format. 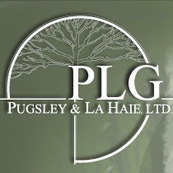 Additional services include hand and computer renderings, elevations and perspectives, expert testimony, site inspections, irrigation and landscape lighting plans, and tree inventories and analysis. As a highly qualified landscape contractor our firm offers clients a full range of complete landscape construction services, including: installation of plant material, retaining walls, pavers, patios, walks, driveways, irrigation systems, landscape lighting, ponds/waterfalls, wood decks, fencing and other exterior masonry. Our experienced crews and strong relationships with our sub-contractors provide us with the flexibility to efficiently complete both small and large-scale projects, either designed by our firm or others. We also believe in using locally grown plant material to assure a high survival rate; and in keeping with this policy, all trees and shrubs installed carry a one-year replacement guarantee. During the growing season, our company employs around thirty hard-working and dedicated men, comprising our labor force, many of whom have been with our firm for over twenty years! Our field supervisors and English speaking foremen are highly trained and dedicated personnel. They pride themselves in quality workmanship, dedication to detail, and a finished product with which all can be satisfied.